The following interview will appear when we relaunch the NoName Cafe Book Review Corner hopefully within the next couple of months-but since I've kept Charlaine waiting so long decided to go ahead and let all of you go ahead and read it here. 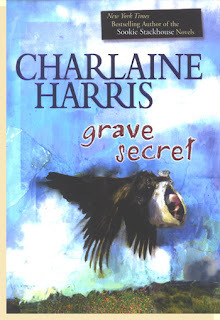 Enjoy-Charlaine is awesome! As we relaunch the Café at its new home we have the special treat of having with us author Charlaine Harris—well known author of the popular Sookie Stackhouse novels upon which the HBO TV series True Blood is based. So grab a cup of coffee and enjoy. 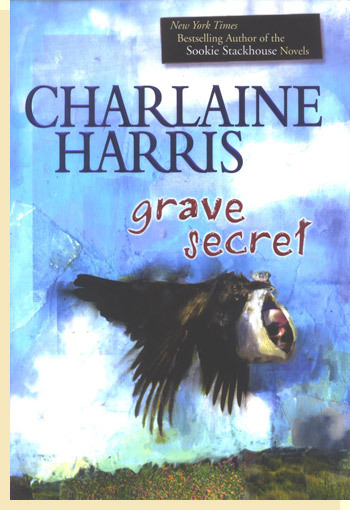 Her latest book GRAVE SECRET, is from her other series published by Ace and Berkley. The series features Harper Connelly. A Touch of Dead, a compilation of previously published Sookie Stackhouse stories, will be on the shelves on Oct. 6, 2009. Can you tell us a little about the new book GRAVE SECRET? In this book, Harper finds out the truth about her family. My first book was published 26 years ago, and it was a mystery titled SWEET AND DEADLY. Have you always written mysteries? I've written mysteries and urban fantasy. What brought you to choose the setting and characters in your series? Tell me a little about the setting and main characters. My Sookie Stackhouse series is set in northern Louisiana, which I picked because Anne Rice has southern Louisiana. The Harper Connelly books are a traveling series. Sookie is a telepathic waitress who dates a vampire. Harper has been struck by lightning and can detect the dead. She dates her "stepbrother." Café:Are you writing any books other than the series now? I'm thinking of doing a standalone. Café:What is the main reason that you write? Because it's the only thing I can do well. Do you write to entertain or is there something more you want the readers to take away from your work? Do you have a schedule for your writing or just write whenever you can? I have a schedule. I write every morning from 8 to 11:30, then in the afternoon from 12:30 or 1:00 until 3:30. Do you outline? If not, do you have some other interesting way that you keep track of what’s going on, or what needs to happen in your book when you are writing it? I don't outline, but I'm not proud of that. I use PostIt notes and a spiral bound notebook to keep track, plus I have a couple of ardent readers I can email; they know the books better than I do. If you had your ideal, what time of day would you prefer to write? I'm writing at the perfect time of day for me. Do you have a great rejection/critique or acceptance story you’d like to share? I was taking a creative writing class the one year we lived in St. Louis. The woman who taught the class was Shannon Ravenel, who'd just finished working at Houghton Mifflin. She's just retired from her position at Algonquin Press, now. She recommended what I wrote in the class to a colleague at Houghton Mifflin, and HM published the book. What kind of promotion do you find most affective? If you have the right temperament for it, I think meeting people in person -- readers, bookstore workers, publicists -- can be very effective. Most interesting book signing story-in a bookstore or other venue. Probably at a big chain bookstore in Metairie when it re-opened after Katrina. That must have been incredible.What do you think has made this series so popular? I hope the Sookie books are popular at least in part because they're well written. And I think they touch on a lot of themes that readers can identify with. I'm always trying to write a better book. My mother is a hero of mine. The mother of one of my daughter's friends, whose quick action saved her family from death. Person you would most like to meet dead or alive? Possibly, you should rephrase that? I have an image of shaking hands with a corpse. I'd like to meet -- oh, gosh. Shirley Jackson. Lol now I have a visual of that as well. I read a lot, and I read a wide variety of books: urban fantasy, mystery, science fiction, a little romance, a little non-fiction. Well, reading. I don't do too much besides read and write nowadays. "True Blood," of course. I also like "Project Runway" and "Lost." "Dexter," too. I just saw "Area 9" and thought it was really refreshingly different. I keep wanting to try Dexter. Three dogs and a goose. Wow I think you are our first goose owner. A husband, two sons, and a daughter. Must make research easier.Any advice for aspiring or beginning writers? Read as much as you can and then sit down and write. There's no one correct way to do this. Café:Can you tell us a little about how True Blood the TV Show came about? Alan Ball's agent approached my agent, and after some thought I accepted his offer over the others I had on the table. How you are involved, how much control do you have, and how you feel about the show? I'm not involved at all, though I'm in touch with Alan and his staff many times a year, especially during the season. I put my books in the right hands, so I didn't mind surrendering control. I love the show. How does it differ from the books? "True Blood" is different in several ways. The books are told from the first person, which obviously won't work for the screen, so the other characters are far more developed in Alan's world. Are you excited about how popular it has become? How has this changed your life and your writing? Thanks so much for joining us here at the Café for an exciting mix of mystery and vampires. Happy reading and Good Coffee! Interesting interview. Charlaine is a fun person and love her books. Fun interview. Charlaine, thanks for the inspirational words: always trying to write a better book. That will get me going today. I don't know how I stumbled on Charlaine Harris's books in our public library, but I very happily did. I've either purchased or checked out from the library every Sookie Stackhouse book and am looking forward to a new one due out in May, I believe. I've also read the Harper Connelly series, and they're great fun, too. I think what amazes me the most, even more than her writing style, is the fantastic imagination Ms. Harris has.